KEADILAN is alarmed at the blatant antagonism shown by authorities towards the peaceful BERSIH rally planned on 9 July 2011. 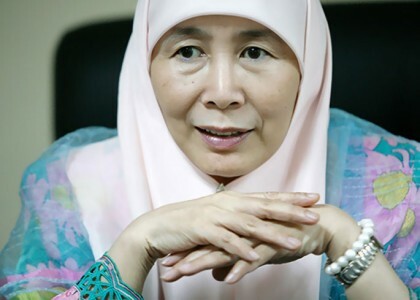 Strong statements bordering threats made by the highest echelon of the Home Ministry speak volume of Barisan Nasional’s zero tolerance policy towards freedom of speech and the right to assemble. There is a much bigger and fundamental issue relating to BERSIH rally beyond the question of constitutional right for freedom of speech and the right to assemble. At the heart of BERSIH is the most pertinent issue that will determine whether or not we can progress as a society in tandem with rakyat’s expectation. BERSIH is about the integrity of our electoral system; the absence of which will continue to hamper any efforts to uplift our society economically and socially. Barisan Nasional’s attitude that promises economic growth without the accompanying accountability and political integrity will continue to erode rakyat’s confidence in our national system. The ability and right of a citizen to elect a party of his choice independently and without manipulation is central to the political integrity that the rakyat now demands loudly of any political parties in Malaysia. Therefore, KEADILAN considers BERSIH rally as a necessity to provide the early catalyst to our society to embrace progressiveness. BERSIH rally will be a test to its proponents and detractors – a test of resolve to gauge how important is electoral integrity for the former; and a test of tolerance and openness for the latter. Therefore, it is incumbent upon the organiser and participants of the rally to avoid any confrontation and not to be tricked by any provocation attempts to create chaos. I ask that the planning for the rally must take into account measures to quickly reduce tensions if there is a provocation. The onus is also on the participants to equip themselves with adequate knowledge on crowd control and safety precautions before joining the rally. On the part of the authorities, we continue to hope that they will reciprocate the organiser’s offer to work together to ensure a smooth and peaceful rally. PDRM must ensure the safety of the participants first and take action professionally on any attempts to provoke or create chaos by any parties. The BERSIH rally can be a new milestone in our country’s march towards a fully functioning democracy. The yearning for greater accountability in our electoral system is a permanent feature of our society; so it is best to manage it with reasons and level-headedness. In this context, our society does not need further provocative statements and threats issued at BERSIH rally organisers and participants. It is more matured for the groups opposed to the rally to respect the right of a sizeable voice in our society to gather and express their views, just as the same right has been exercised over and over again by these few Umno-linked groups previously. KEADILAN has committed fully to the cause of improving our electoral system since its inception. BERSIH rally is the paragon of the cause and as such, KEADILAN will ensure our members to come in large numbers and join the expected hundreds of thousands of Malaysians in Kuala Lumpur on 9 July 2011. For a start, KEADILAN has started to test our own mobilisation capacity this weekend in conjunction with our National Election Convention, throughout which the instruction for big mobilisation to our members will feature prominently. I ask a similar openness and a little compassion from the authorities. By providing the proverbial safety valve in allowing BERSIH rally to proceed peacefully, this will hasten our society’s maturity to manage differing views and opinions. Such maturity is key to unlocking our society’s potential in future years.